NLR Police shot and killed a Pulaski Technical College student. According to witnesses, Robert Storay a nine year Army Veteran was causing a disturbance on a CAT bus. The CAT bus driver stopped in front of the First Presbyterian Church on 4th and Maple and called police. 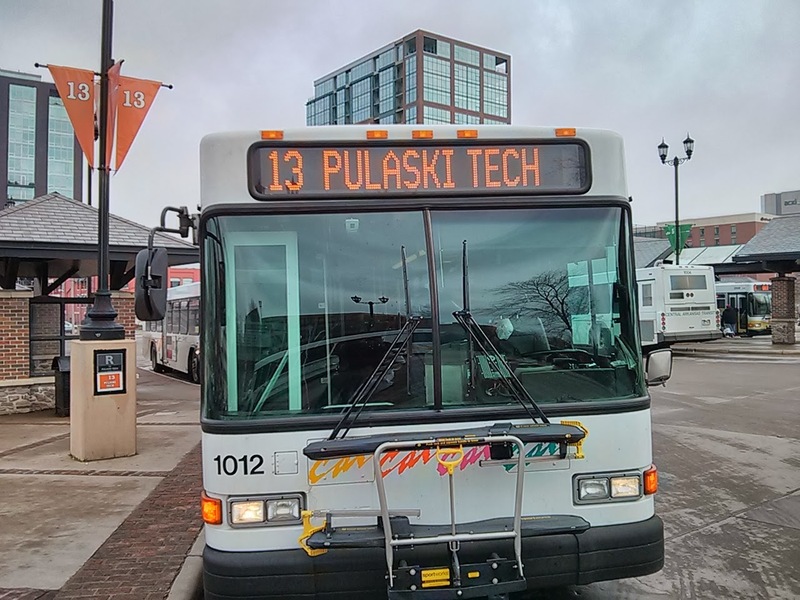 When an officer arrived, and pulled the Pulaski Tech student off the bus, the student reportedly began hitting the police officer with his cane. The police officer pulled his service revolver instead of his taser gun and shot the student. Many of the people on the bus was traumatised because of the shooting. One passenger told his counselor on PTC campus that he was checking himself into the hospital because he was traumatised. Its not everyday you witness a killing. Twenty-five people saw Storay being gun down. 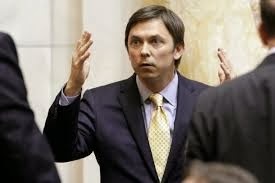 It is evident from Storay's behavior, that he was off his meds or on some other stimulant. North Little Rock Police have a good record in handling Veterans with PTSD or psychotic episode. Robert J. Storay, 52, of Little Rock, was taken to UAMS where he was pronounced dead, according to Sgt. Dedrick. 1.Why didn't the officer call for back-up? 2.Was the Officer life in danger? 3. What make this incident a Justified Shooting? 4. 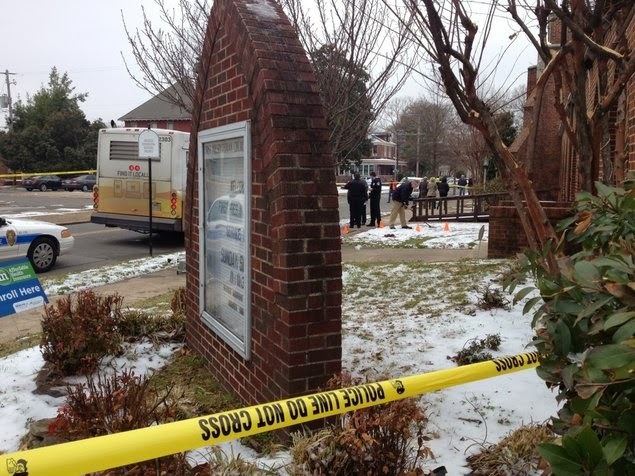 Should North Little Rock have a Citizen Review Board to handle cases of Police shooting? 5. Is a cane a deadly weapon? 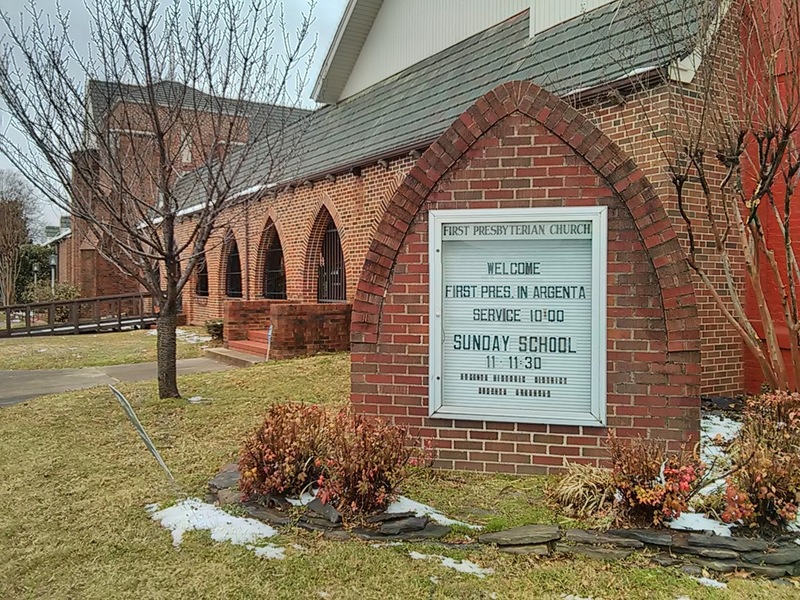 Another side of the Robert Storay Story. Robert J. Storay served nine years in the US Army as a Dental Laboratory Specialist. He was awarded the following decorations: Overseas Service Ribbon, Army Service Ribbon, Marksman Qualification Badge (M-1 Rifle), and Expert Qualification Badge. Robert enrolled at Pulaski Technical College during the Fall of 2010 semester and was a graduate of the Veterans Upward Bound Program. Robert was working on an Associate of Arts degree and was a candidate for graduation in May. His long-term goal was to become a Dental assistant. Mr. Storay was a rare find! In our lives, we are often privileged to be associated with outstanding people—Robert was such a person. Robert, also known as King Rob, left a lasting impression on our hearts. He had a wonderful sense of humor and was brutally honest. If you wanted to know the truth about something, just as Robert. He had the ability to turn anyone’s bad day around, because he could make you laugh even when you didn’t want to. He always had an interesting story to tell or something hilarious to say. Robert was passionate about his family, especially his mother (who recently passed away), his daughter, Robbie, and his grandchildren. He was extremely proud that his newest grandson was name after him. If Robert could save the world, he would. Robert’s heart helped make the world keep turning. We are thankful that God allowed our paths to not only cross, but to connect. We forever cherish the time we spent with him. We will miss you, and we love you very much. The sons of Eugene Ellison, 67, who was shot to death by a police officer last December in his Big Country Chateau apartment on Col. Glenn after a struggle in his home, have filed a federal lawsuit in Little Rock alleging their father's civil rights were violated. Officer Donna Lesher, Officer Tabitha McCrillis, LRPD Chief Stuart Thomas, the City of Little Rock and Big Country Chateau Apartments are named as defendants in a suit seeking damages for Ellison's estate. Here's the full complaint. It offers a different scenario of events than past official accounts. It says that Officer Lesher, who fired the shot, was not in contact with Ellison and thus not in danger at the time she she fired from outside his apartment. Police have said she fired because he wouldn't stop swinging his cane at officers. On Dec 9, 2010, Eugene Ellison was sitting in his apartment at Big Country Chateau with the door open when McCrillis and Lesher, who were working off-duty as security guards at the complex, entered his apartment. After Ellison told them to leave, an argument ensued that quickly turned into a physical confrontation (the lawsuit alleges that McCrillis started the physical fight by shoving Ellison). 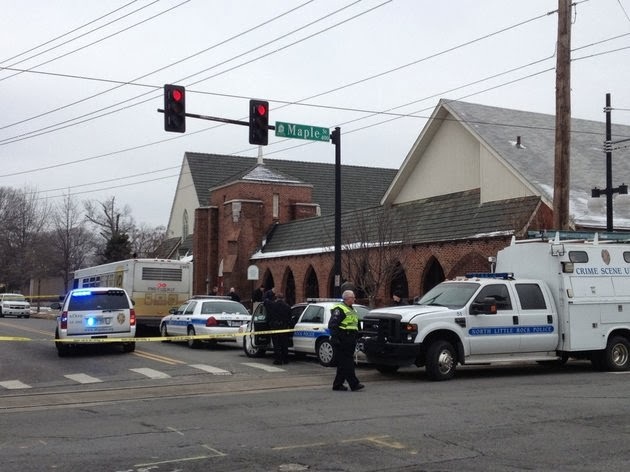 The two officers called for backup, and LRPD officers Vincent Lucio and Brad Boyce responded. When they arrived, the lawsuit says, they found McCrillis standing outside Ellison's door with her baton laying on the pavement beside her. The lawsuit says that Lucio went into the unit and saw Lesher crouched in a corner. He helped her outside, leaving Ellison inside. When Ellison turned to pick up his cane, the lawsuit alleges, Lesher — standing on the balcony with three other officers — pulled out her service pistol and fired into the apartment, striking Ellison twice in the chest. He later died. An investigation by the Little Rock Police Department cleared Lesher and McCrillis of any wrongdoing in the confrontation and the shooting. At a press conference today at the Capitol Hotel in Little Rock, the Ellison Family's attorney, Michael J. Laux of the Chicago firm of Balkin and Eisbrouch, LLC, called the shooting a gross violation of Eugene Ellison's civil rights, and said that the investigation which cleared McCrillis and Lesher was "a by product of a culture that has taken hold" at the Little Rock Police Department in which complaints of excessive force and civil rights violations by officers are routinely swept aside. He said he has made Freedom of Information Act requests for information that will prove that pattern. Laux called the shooting of Ellison "an assault on this good city." He is currently seeking information from Little Rock residents about alleged instances of excessive force and rights violations by the LRPD, but said the lawsuit will not become a class action. Both Troy and Spencer Ellison are veterans of the LRPD. Troy Ellison is currently a detective with the force. His brother Spencer is a former LRPD detective who has taught Criminal Justice courses at a college in Texas for the past few years. While the complaint doesn't specify a monetary amount the Ellison family is seeking, Laux did say the damages they intend to go after from the defendants will be "significant. 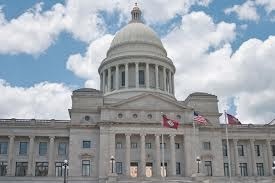 LITTLE ROCK - The Arkansas House on Tuesday approved a plan to use federal Medicaid funds to buy private insurance for low-income residents, with many Republicans saying the approach is the best way to maintain some control over provisions of a new federal health care law they still oppose. The private-option plan was presented to legislators in two parts, with one part including language authorizing the plan and a second part setting up the funding. The funding element finally won its needed three-fourths vote in the House, though it still needs to be approved by the same margin in the Senate. "I commend my colleagues who have just cast a difficult vote in favor of the 'private option,'" House Speaker Davy Carter said following the 77-23 vote. "With their support, Arkansas now leads the nation with a conservative alternative to the policy forced upon us by the federal government." Some Republican leaders and Democratic Gov. 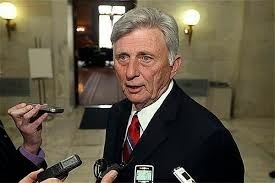 Mike Beebe are promoting the idea as an alternative to expanding Medicaid enrollment under the federal health care law. Democrats (48): C. Armstrong, E. Armstrong, Baine, Baltz, Broadaway, Catlett, Copenhaver, Dickinson, Edwards, Ferguson, Fielding, Hawthorne, Hillman, Hodges, Holcomb, Jett, Julian, Kizzia, Lampkin, Leding, Lenderman, Love, Magie, McCrary, McElroy, McGill, McLean, Murdock, Nickels, Overbey, Perry, Ratliff, Richey, Sabin, Steel, Talley, Thompson, Vines, Warner, Walker, Wardlaw, Whitaker, B. Wilkins, H. Wilkins, Williams, Word, Wren, Wright. Republicans (28): Altes, Baird, Biviano, Bragg, Branscum, Burris, Carnine, Carter, Clemmer, Collins, Dale, Davis, D. Douglas, Eubanks, Gillam, Hickerson, House, Hutchison, Kerr, Lea, Linck, Lowery, Malone, Mayberry, Neal, Scott, Shepherd, Slinkard. 00-1493- What Is the Doctrine of (Christian) Discovery? 0001- HIV/AIDS, PROFIT AND DEPOPULATION IN AFRICA. 0612 - Walt disney illuminati subliminal messages and devil worship! 06606 - Satan Secret Weapons - Ministers of the Gospel - Did your pastor make the List? 10103 - Preachers Recruited By NWO To Control The Masses! Anglo-Saxon Mission - Project Avalon - WW3 - planned attack by US, London and Israel on Iran. BLACK 'SKULL AND BONES' - "THE BLACK BOULE"
Did Adolf Hitler Serve the New World Order Agenda? Zionism and the Third Reich – Was Hitler a Zionist Agent? Did Hitler Create Israel?? DNA reveals Hitler was Jewish - Was Hitler a Rothschild? Hitler was a Rothschild - Alois Hitler, father of Adolf, was the illegitimate son of Maria Anna Schicklgruber and Baron Rothschild. New Israeli Massacres in UN Schools in Gaza The Israeli war criminals committed horrible massacres in the Jabalia refugee camp today Tuesday January 6 2009. They bombed many houses of Palestinian civilians, and the UN schools in the Jabalia and Rafah refugee camps, Killing more than 135 civilian and wounding more than 400, more than half of the victims were children and women. TD Jakes repositioning views on homosexuality with Dr. Phil? 10668 - Is Free Mansonry Christian? Was The Death of Hugo Chávez a Political Assassination? Strange Event: Four South American Leaders infected by similar Cancers. Are they Targeted Assassinations? Who Brought Black Slaves to America? Haiti: The U.S. Created the Earthquake in Haiti? Did The Reformers Teach the Rapture? Bible Prophecy Truth - Rapture or Second Coming?